Pollok have been drawn to play Glenafton away in the 4th Round of the Macron Scottish Junior Cup. The tie will take place at Loch Park, New Cumnock on Saturday 24th November with a 1:45pm kick off. The more eagle eyed supporters may have noticed a new face on the coaching staff over this weekend and we’d like to take the opportunity to welcome Ian Penman to Pollok as he joins Murdie’s management team. A player with Neilston and EK Thistle, he has since been assistant at EK and Blantyre Vics as well as on the coaching staff at Irvine Meadow. 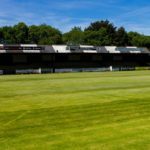 Ahead of this Saturday’s Macron Scottish Junior Cup match, we would like to remind all Pollok and Cumnock supporters that absolutely NO alcohol is permitted inside Newlandsfield Park under any circumstances. In order to assist Pollok FC officials to manage this, security staff will be present at Newlandsfield on Saturday. Pollok FC can tonight confirm the addition of Billy McGhie to the coaching staff as assistant to Murdie Mackinnon. After a senior playing career of nearly 400 games at Clydebank, Partick Thistle and Queen of the South and then a nine year spell Junior with Arthurlie, Petershill and Shettleston, he became manager of Clydebank in 2003 where he spent over 13 seasons, leaving the Bankies in December 2016. He most recently held the managerial reins at Kilbirnie Ladeside, serving as manager from May 2017 until his decision to leave earlier in October 2018. Pollok FC are delighted to announce that Billy Kerr has joined manager Murdie Mackinnon’s backroom team as goalkeeping coach. Billy brings an abundance of experience with previous spells at Rangers, Hamilton Accies, Ashfield, Irvine Meadow and Kilbirnie Ladeside. The club would also like to put on record their thanks and best wishes to Stewart Ralston and Brian Whelan who have now left the club. 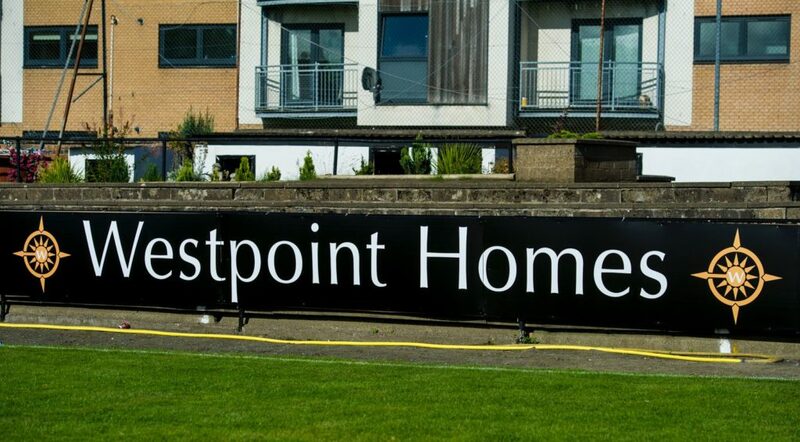 Pollok Football Club are delighted to announce their newly formed partnership with Westpoint Homes, one of central Scotland’s most highly-regarded, private home builders. 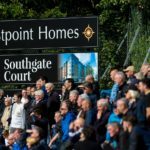 The partnership will see Westpoint Homes’ branding displayed at Newlandsfield Park, and on the cover of the match day programme. 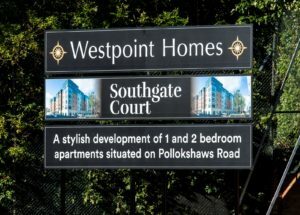 The relationship was formed in the Southside of Glasgow, where both Pollok F.C and Westpoint Homes have grown as teams considerably over the years. Indeed, trophy cabinets are not just required at Newlandsfield, we’d like to congratulate Westpoint on their recent Herald Property Award. 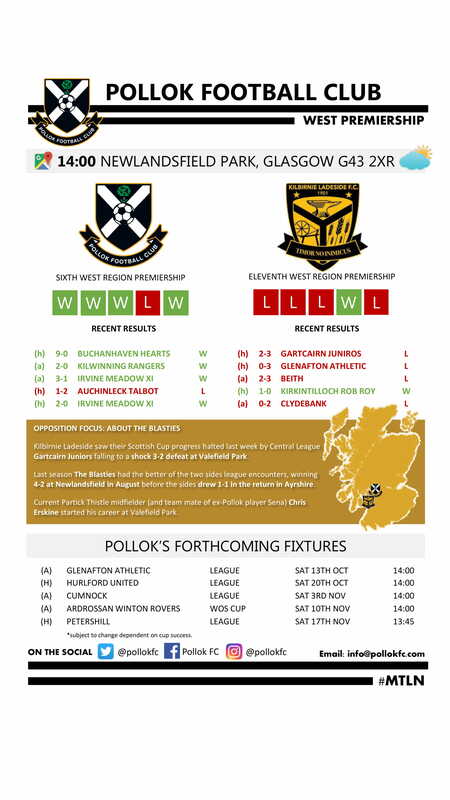 The partnership is an exciting opportunity for both Pollok FC and Westpoint Homes as both organisations are passionate about carrying out work to benefit the local community. We’ve already welcomed Westpoint in to the Pollok family and valuable time was spent together recently as Westpoint Homes attended the Pollok FC open day at Loks Bar & Kitchen. Pollok have been drawn at home to Buchanhaven Hearts in the 2nd Round of the Macron Scottish Junior Cup. 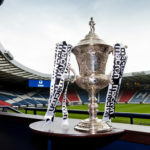 Buchanhaven, based in Peterhead, currently sit atop the McBookie.com North Region 2nd Division. Fancy being a sweeper for the Lok? 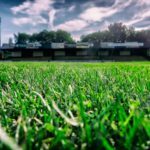 The ground team are looking for some volunteers this Saturday to get the terraces clean and ready for the big kick off on Saturday afternoon. If you can spare a few hours from 8am on Saturday, drop down to Newlandsfield to lend a hand. We’ll then kick off the 2018-19 campaign with our Sectional League Cup match against Maryhill at 2pm.